Everything James Lavelle has created and initiated has been driven by the same irrepressible sense of curiosity and an incorruptible willingness to take risks. Everything James Lavelle has created and initiated has been driven by the same irrepressible sense of curiosity and an incorruptible willingness to take risks. The music released today under the banner of UNKLE is very different from early UNKLE records. The spirit is the same. Since the early Nineties James Lavelle has been on a global roller coaster ride. It’s taken him from being an obsessive 18 year old indie record label boss to the heart of corporate record company darkness and back to the light with an array of dynamic visual adventures based around the collective musical experience of his UNKLE project. A child of the sampling generation, he has honed his curatorial skills while riding the tidal wave of information technology. The Nineties were hectic - an endless cycle of clubbing and unfettered creativity and his Mo’Wax label was bold, irreverent and “Kicking More Phunk Than A Shaolin Monk”. He released a flood of hip, deftly packaged 12”singles and ventured far and wide in search of like-minded souls. He forged links with Japan’s hip hop originals Major Force and DJ Krush but it was in Oakland California that he found the future - Josh Davis aka DJ Shadow. In ‘96 Rolling Stone magazine declared Mo’ Wax as the true source of ‘Trip Hop’ - a decision underpinned by the aural impact of DJ Shadow’s ‘In/Flux’ 12” single – but In reality, it was the ‘Headz’ compilation, released in ‘94, complete with cover art by Massive Attack’s 3D that took ‘trip hop’ worldwide. What followed was DJ Shadow’s skillfully crafted ‘Endtroducing’ LP – a homage to his trusty Akai MPC60 and a seminal slab of vinyl that has since notch up sales in excess of a million. A label deal with A&M appeared to give James the freedom to pursue the Mo’ Wax grail and UNKLE was chosen to deliver the vision. DJ Shadow took on the producer role of ‘Psyence Fiction’. Meanwhile James commissioned Futura2000 to provide the artwork and succeeded in enlisting Radiohead’s Thom Yorke and ex-Verve frontman Richard Ashcroft to the project. It was a radical venture that predictably met with the glint of sharpened critical knives. A combination of youth and boundary breaking ambition has never endeared James Lavelle to the critics. Ironically, the deal-breaker when signing to A&M records was a Jean-Michel Basquiat drawing that declared “Cowards with get rid of you, the sky is the limit”. It proved an apt warning. At the dawn of the new millennium A&M imploded and took Mo’ Wax with it. Financial uncertainty ensued. He sold the Basquiat, reverted to his DJ career and pressed on with UNKLE. James Lavelle loves dj’ing. It’s back to basics. He describes his five year long residency at Fabric as “insane” and is happy to point out that he’s had residencies in all of the Top 10 clubs in the world including Zouk and Womb. Obsessed with the collision of music, fashion and art James forged links with Nigo at A Bathing Ape and launched Mo' Wax Arts to translate Futura 2000’s concepts and images into merchandise, toys and fashion. He was mates with iconoclastic London fashion genius Lee Alexander McQueen and continues to work with McQueen collaborators Warren Du Preez and Nick Thornton Jones. Daydreaming with…. James Lavelle was launched at London’s Museum Of Mankind and has produced collaborations with celebrated artists like Jonathan Glazer, 3D, Jonas Burget, Doug Foster and Turner Prize nominee Nathan Coley. 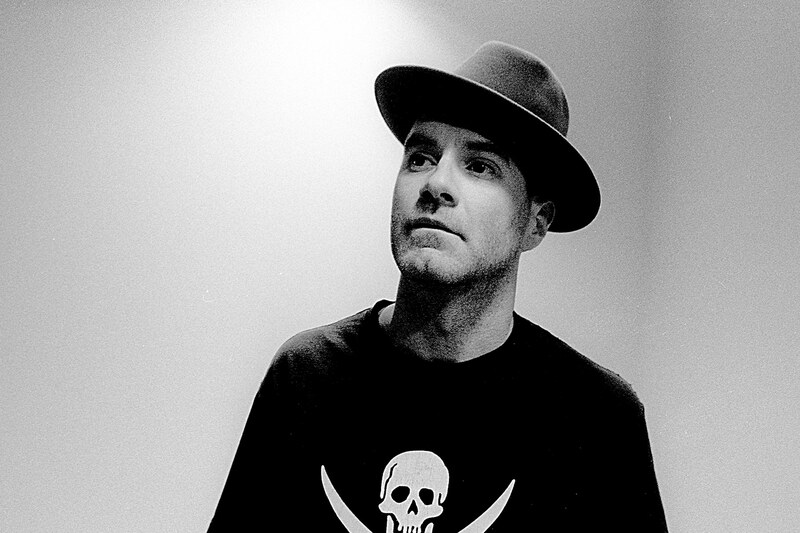 In 2005, he set up Surrender - a clothing line and boutique record label dedicated to all things UNKLE. Over a five period they produced three UNKLE albums - ‘War Stories’, ‘End Titles- Stories For Films’, ‘Where Did Night Fall’ and around 150 tracks. UNKLE's progression in the studio from a classic hip hop aesthetic to breakbeats-meet-house to electronica to rock has also been instrumental in UNKLE manifesting as a live band that’s successfully toured the world. The UNKLE crew has been populated by a bunch of serious players who have made a massive impact on the UK music scene and beyond. Tim Goldsworthy set up DFA records, Nick Huggett signed Adele, M.I.A and Dizzee Rascal, Damian Taylor is Bjork’s right hand person, Cameron Craig is a Grammy winning engineer and Jim Abiss and Paul Epworth are both producers at the top the game – think: Adele, Kasabian, Plan B, Florence & The Machine. Another UNKLE veteran Toby Feltwell went on to run Bathing Ape and Billionaire Boys Club with Nigo and Pharrell. Herein lies the journey of a hip hop, subway art, Massive Attack obsessed kid from Oxford. It’s been a wild and mind expanding journey. His focus is always on the future. Watch this space.